We eat eggs almost every morning for breakfast. Occasionally my kids will ask for something different which ends up being steel cut oatmeal bake, grits or gluten free french toast. We all do like eggs, but having something different once in a while is nice. I like the idea of quiche, although I REALLY dislike making a gluten free and dairy free crust. 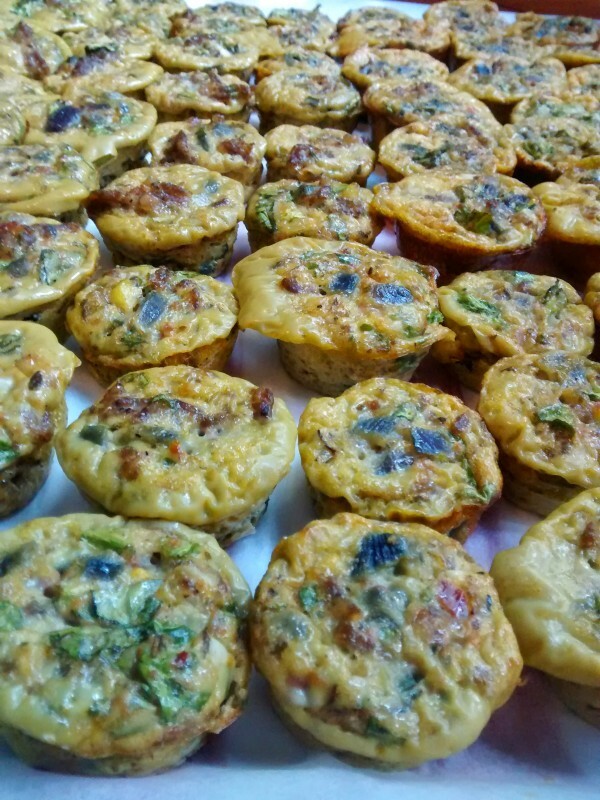 They just don’t taste as good and detract from the flavor of the quiche. I also don’t often make them because it takes about an hour for them to cook before it’s ready to eat… way too long for famished, starving, wasting away to nothing children who haven’t eaten for 12 hours. They just can’t wait that long!!! I purchased a mini muffin pan a few years back and have only used it a handful of times. I was critically looking at my kitchen a few weeks back trying to find things that I don’t use and that I could give away or thrift. 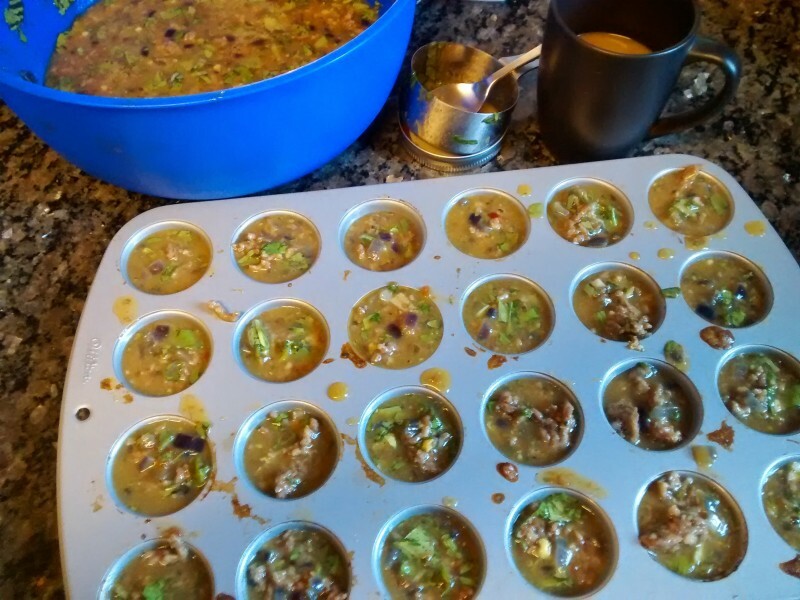 I saw the muffin pan and thought I might give it away,… or maybe I could use it… what if I made quiche in it!!!??? It would certainly cook faster and I’m sure the kids would enjoy the size! AND it would be an easy protein heavy snack I could pack for busy mornings out. Hmmm… the wheels started turning! I think I have a plan!!! I also have lots of veggies and eggs from our summer CSA and I could sneak in LOTS of veggies!!! I don’t want them to go bad and rarely do we eat veggies for breakfast! I threw in a bit of this and a bit of that and it turned out fantastic! I then made them again for a family gathering and changed the recipe a bit and it was a huge hit! SO many asked for the recipe! The flavors were fantastic! It’s quite a versatile recipe! Good for hors d’oeuvres especially for larger group of people, a healthy breakfast with leftovers for protein heavy snacks for later in the week, or it could even be baked in two full sized pie pans. And, true to the way I roll… simple. Quick… and not too labor intensive… so ie no crust! Mix in a large bowl with sausage. Bake at 375 for 30 minutes or until quiches are firm. Previous Will We Have a Second Rainbow Baby? Next What is ‘your life’?